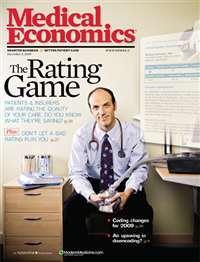 MagsConnect has discounted magazine subscriptions for all Medical magazine enthusiasts. Save up to %90 on all titles. Always get your magazine subscriptions for less. 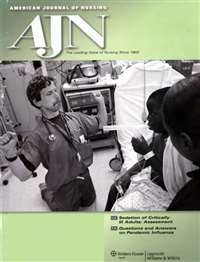 The Journal of Critical Care Excellence addresses the information needs of the busy critical care nurse. Straightforward content digests clinical practice breakthroughs and complex research findings, and offers quick-response assessments and interventions that reflect the latest critical care standards. The journal reports news in critical care nursing with the same urgency that nurses use to respond to patients in their fast-paced environment. 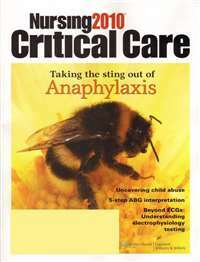 Wherever nurses care for patients--the ICU, CCU, cath lab, PACU, telemetry, progressive, or transitional care--each bimonthly issue of Nursing2006 Critical Care offers vital information on topics that boost readers' assessment and intervention skills to the next level. 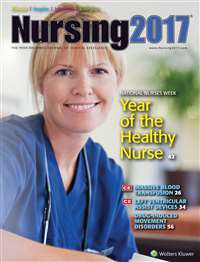 Nursing is an award-winning how-to journal created to provide practical, hands-on information to nurses. Readers say the journal is their first choice for quick-read updates on the most comprehensive range of nursing topics, including clinical and professional information on drugs, diseases, nursing care strategies, and legal/ethical issues. 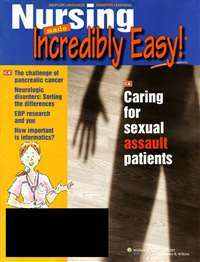 Continuing-education articles offer abundant opportunities for nurses to advance their skills. Founded in 1972, EMS World Magazine has been serving the EMS profession and industry for over 35 years and serves as the most authoritative voice in the world for clinical and educational material. 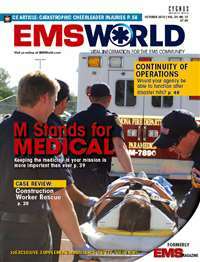 More EMS Professionals get their training from EMS World Magazine than any other EMS publication! 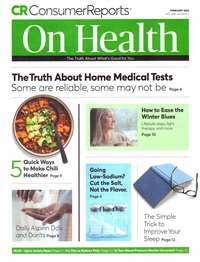 Widely considered the most trustworthy magazine source in arthritic care, Arthritis Today is an essential resource for those interested in managing and taking control of their condition. Top experts from diverse fields of medical care, nutrition and fitness join forces with journalists to make each issue a step-by-step guide to maintaining and improving your health at any age. Each issue of Arthritis Today offers comprehensive, useful information that you can implement easily into your day-to-day life. Read up on how turn an average meal into a hearty, nutritious dish and get advice on how to enhance certain muscles to improve your overall wellbeing. In the monthly "Your Letters" and "Parting Thoughts" sections, Arthritis Today features readers' personal stories that lend an intimate and inspirational aspect to the publication. Edited for physicians in office, group & managed-care environments. 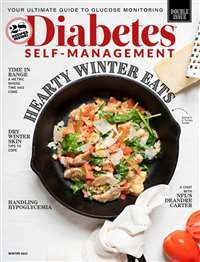 Diabetes Self-Management publishes instructive "how-to" information that has immediate application for people with diabetes. 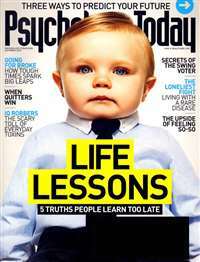 Articles focus on exercise and fitness, nutrition and diet, and the techniques, products, and strategies that help readers take charge of their well-being and live happier, healthier lives.